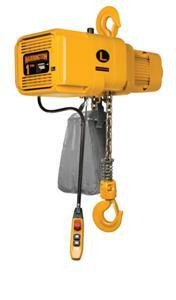 Electric chain hoists efficiently and safely lift and lower loads. 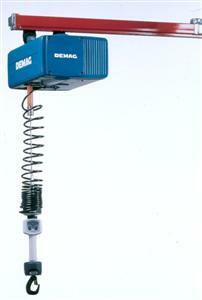 Most economical of the powered hoists from ¼ – 5 tons. Clean room electric hoists include stainless steel load chain, lower hooks and bottom blocks, and use special food grade lubricants. 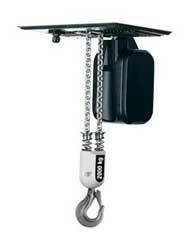 Designed with the hooks off-set to the side of the hoist body, resulting in maximum lifting heights. High duty cycles? No problem! A foundry in Indiana was spending a lot of time and money maintaining it’s fleet of air hoists not to mention the downtime they were experiencing as a result. They had previously only used air hoists because of the heavy duty cycle of at capacity lifts. CraneWerks introduced the Harrington electric chain hoist to the foundry and gave them a demo unit to try for 30 days. With the 60 minute duty cycle of a Harrington Hoist the results were not surprising. The customer began to replace their entire fleet of air hoists with Harrington electric chain hoists and are currently enjoying the low maintenance benefits. 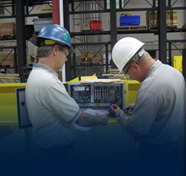 CraneWerks offers professional sales attention to each electric hoist request. Making your purchase as easily and accurate as possible is our goal. 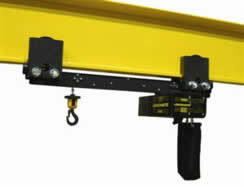 Our online hoist RFQ located on each page of our site is the best in the industry. 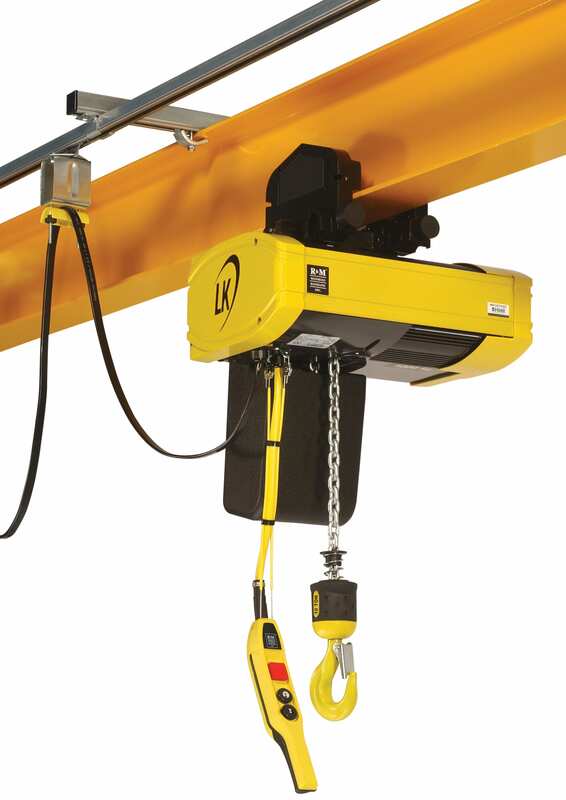 The CraneWerks electric hoist RFQ asks leading questions, ultimately producing a request for the exact hoist needed. Please write or call today with your request. Need a quote in a hurry? 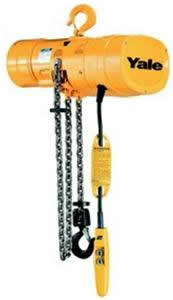 Most electric chain hoists can be quoted same day. 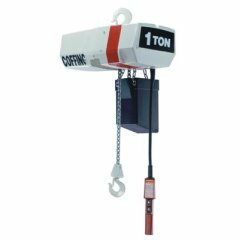 CraneWerks stocks hoists up to 10 Ton capacity and can ship the same day in most cases.